This has been going on for approximately 200 years. 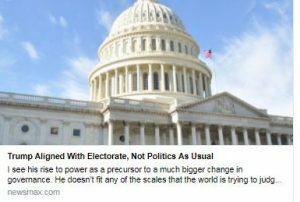 Today, the politicians themselves are called “elected officials,” the method by which they can preserve their power is called “democracy” and what they put most of their time, energy and resources into is getting elected in the next term. Sometimes, if we’re lucky, it also meets the public’s interests. It’s because of this entrepreneurial quality that I see his rise to power as a precursor to a much bigger change in governance. Therefore, it’s only natural that he doesn’t fit any of the scales that the world is trying to judge him by. He is not politically correct. He doesn’t speak or write like a diplomat. He’s direct, vulgar and not in line with the “politics” we’re used to. What the world needs today are results-oriented pragmatists, entrepreneurs, builders, innovators and optimizers in positions of power. Trump, in my view, is only the early bird of change. I could also easily see people like Elon Musk and Jeff Bezos occupying that role. The point is that we have to reinvent our politics, starting by replacing politicians with those infected by the “bug” of entrepreneurship. Question: What is the spiritual root of skin diseases and why is it so difficult to heal them? Answer: It is difficult to heal skin diseases because the skin is the most external and egoistic layer of all the parts of the body. Therefore, it has contact with the external world. The human body includes the brain, bones, tendons, flesh, and skin. Skin is the external sheath of the body and therefore it is difficult to heal it. Who Reveals The Secrets Of The Universe? Question: Man has been endowed with a mind in order to think abstractly. When he starts studying the spiritual worlds, he can either materialize all of this or hover in the clouds. How can you take students who are unprepared and explain the secrets of the universe to them? Answer: First, your statement is not entirely accurate. What do you mean by “students who are unprepared”? Newcomers are always unprepared and need to be educated. Secondly, what secrets of the universe can I reveal to them if they don’t understand anything about that? If, for example, I were to take a tenth grader and sketch the structure of a nuclear bomb for him, would he be able to build one? Millions of people have worked on this for many years. We see how difficult it is for any nation to produce such a bomb, although the principle is well known. Question: Suppose we study the “Preface to the Wisdom of Kabbalah,” which has sketches and the structure of the spiritual worlds? Answer: But this needs to be explained gradually. There is nothing mysterious in Kabbalah. The “Preface” talks about the interaction of forces—the force of bestowal and the force of reception—and the connection between them. Generally speaking, the method is very simple to study and understand. It is difficult for a person to perceive and implement. That takes years. Question: So if a newcomer comes and listens to the “Preface to the Wisdom of Kabbalah,” including sketches of the worlds and Partzufim, is this normal? Answer: It does not matter. It is intended for everyone, with no exception. Nothing is concealed. It’s just that for now, the person does not understand Kabbalah because he still hasn’t reached these truths. There is a specific internal threshold within which it interests him, and outside which it doesn’t. And to the extent it interests the person, he understands everything. There are people who study with us, say, for ten years, and only after ten years do things fall into place all of a sudden and he starts thinking and perceiving differently. Then a few years later they fall into place again. He seems to be hearing the same things, but the channel of perception opens up. According to the wisdom of Kabbalah, the world is perfect and we will only be able to perceive this perfection when we correct ourselves. We need to correct our desire to receive for ourselves by becoming more focused on loving and giving to others. In this way, we become more like the Creator. Question: Are prophetic dreams and deja-vu characteristics of the soul or the body? How is it possible to get rid of them or how can one live with them if they are impossible to get rid of? Answer: They disappear as one thinks about connection with the Creator. Question: I once asked you how I could find a profession in this world and you answered that this would become clear according to the degree that I study Kabbalah and work in a group. I understand this, but as far as it seems, in the meantime, my work in a group is not enough. What should I do if I don’t understand what I should be doing in this life and how I can make more money (since in any case it is necessary to earn money for the family and children)? I suffer because I don’t understand what I want, what my tendencies are, and I don’t know where to go to not make a mistake. I want to do my own thing if I must still work. Sometimes it seems that something is becoming clear, but I ultimately become even more confused. How can I orient myself in all of this? 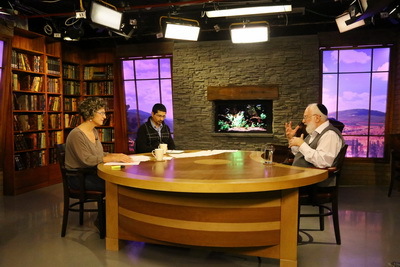 Answer: It is necessary to provide for the needs of the family first, and then become involved with Kabbalah. A profession must be most useful for both goals!